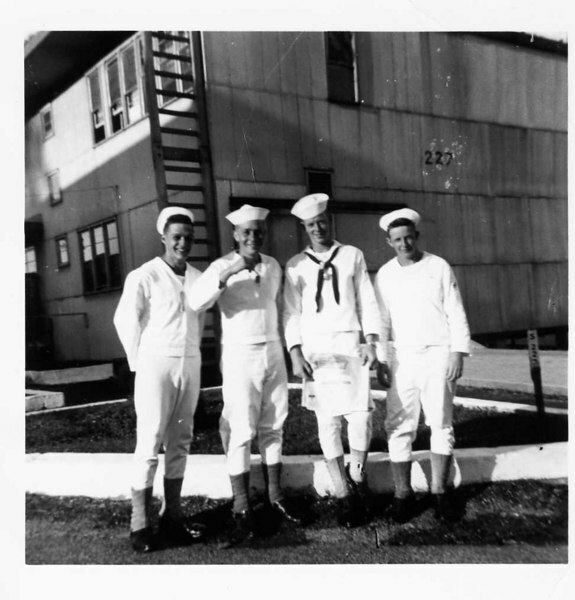 Boot Camp CO 359 (Reading Left to Right) 1-Stephen P. Mateyak 2-Tony Lupacchino 3-Robert B. Gordon 4-Robert Wilson. Received Dog Tags. November 1955 (#200) Tony Lupacchino - Appointment to RTC Rank of Company Clerk Second Class Petty Officer - August 1955.